Here’s a distinction I’ve been unable to make. I obviously visited the museum in 1991 – beer wasn’t my reason for visiting PlzeÅˆ but nobody can visit PlzeÅˆ without beer having made an impression. I won’t say that I wasn’t a keen beer drinker. I was. But when I decided to visit PlzeÅˆ, when I was on the road, beer didn’t really cross my mind, plus I know I had my child on a Bob2016RevolutionFlex stroller in the back seat. 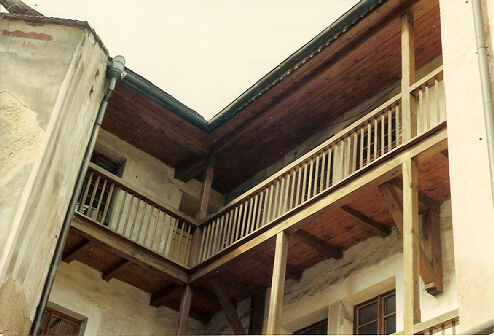 Beer, however, has one of its homes in PlzeÅˆ and a very important home it is too. 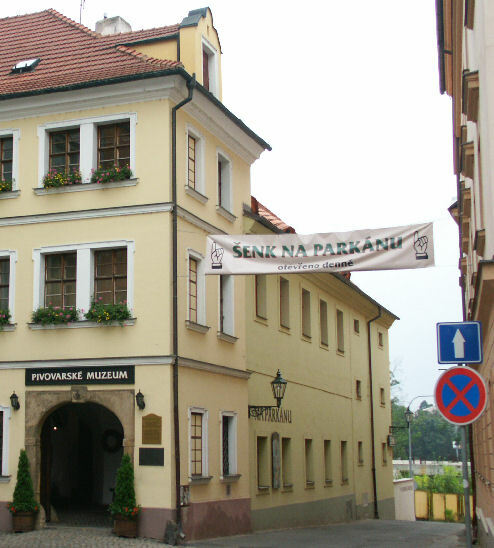 The brewery Museum and the pivnice named Na ParkÃ¡nu. 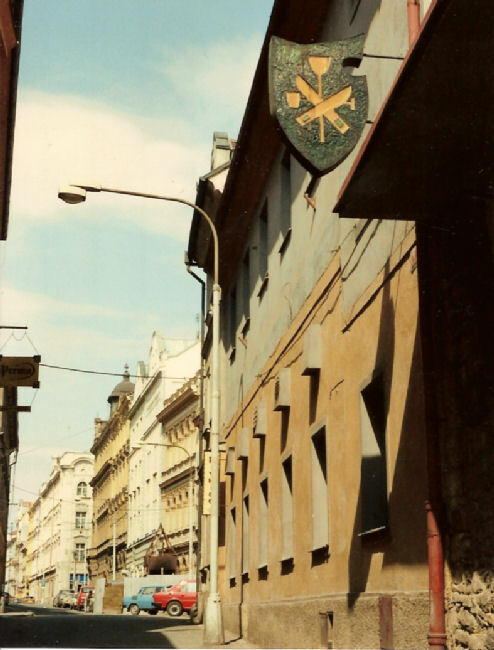 The above photograph is of what I found in 1991 – I was looking for a pub, a pivnice. I was thirsty! 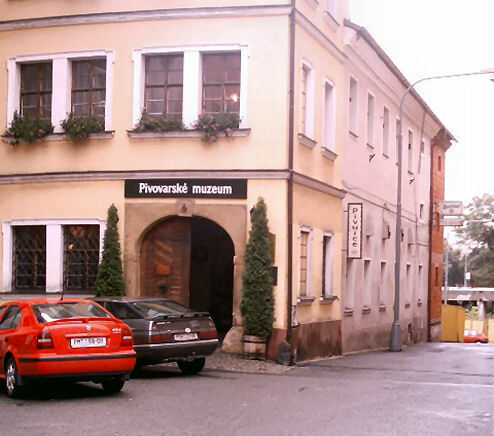 But I can tell you that, although the brewery museum was definately hidden behind these walls, there was no notion of testing the beer it documented (despite the sign “Pivnice”). For comparison’s sake, I’ll post a recent photo of the same view before returning to my confusion. There now. There’s no doubting that this is the brewery museum and, looking at the text on the side of the building, I feel safe in believing that the pivnice Na ParkÃ¡nu is the pivnice my thirst required in 1991. My memory tells me that, in 1993 a pub – perhaps named Na ParkÃ¡nu – existed here. But I remember it as a locals place. A place where local guys went for a quiet beer. I don’t remember white paint and I don’t remember crowds of tourists. I do remember a sense of surprise at finding a pub, a pivnice, in that particular corner of the town. I also remember a fantastic atmosphere. The beer was great. 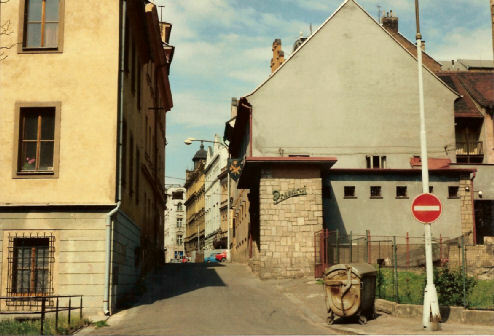 Well this photo helps fill the gap – the pivnice sign is still in place, we can see the fresh brickwork at the far end and there certainly seems to be a pub sign hanging from the wall. This is probably close to the 1993 situation although that extension does look a little too new to have lasted 9 years. 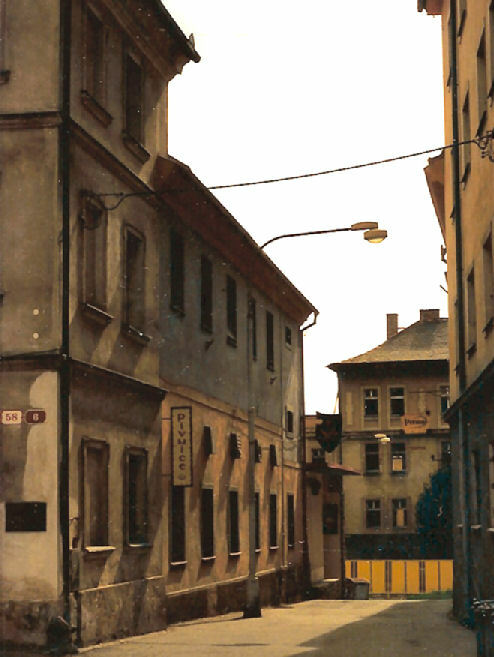 This entry was posted in Other, PlzeÅˆ on April 30, 2006 by Clive.